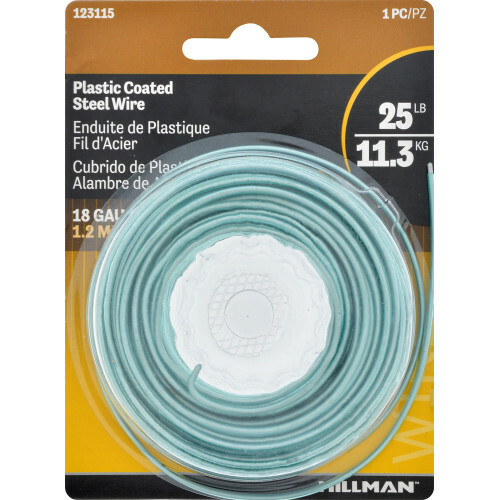 Hillman Plastic Coated Wire is great for art and DIY projects. Plastic coated wire is malleable. Available in 18 and 20 gauge wire. 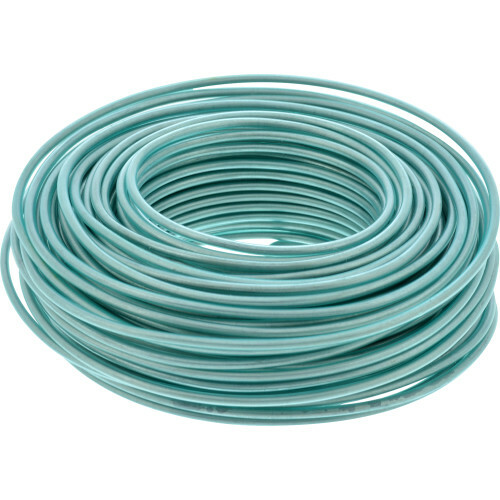 Plastic coated wire is steel wired with a plastic coating as a finish. 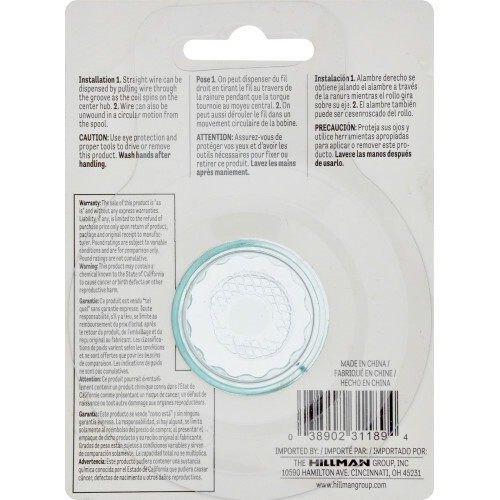 Wire tip: a thinner wire means the gauge will increase in size.